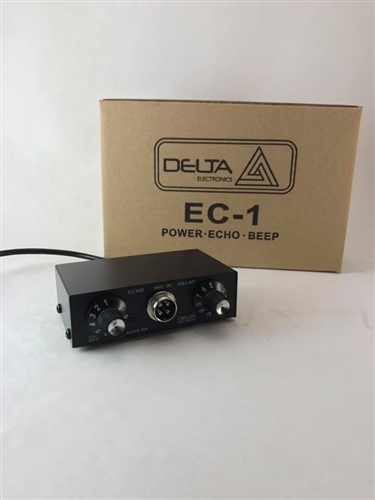 Delta Electronics EC1 Dynamic Microphone Amplifier Box with TURBO Echo and Roger Beep!! 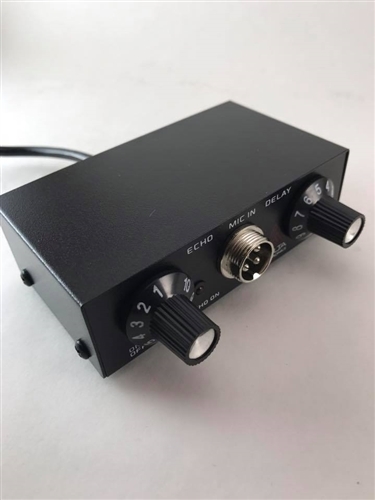 Meticulously designed and created by a radio technician with 40 years of experience with the sole focus of bringing LOUD and Crystal Clear audio to ANY MICROPHONE, whether its your basic stock mic or your tired old power mic! The same people that brought the acclaimed DELTA M2 microphone!! Plug your 4 pin mic right into the front and the EC1 will AMPLIFY your mic's audio to levels you never thought it could achieve! Add to it the EC1 Echo capability to give you that BIG BOOMING THEATER ECHO SOUND! All adjustable from its two front knobs for TURBO ECHO and Delay! Add also a on/off for ROGER BEEP!! Unkey that mic and you will hear the Roger Beep confirmation! 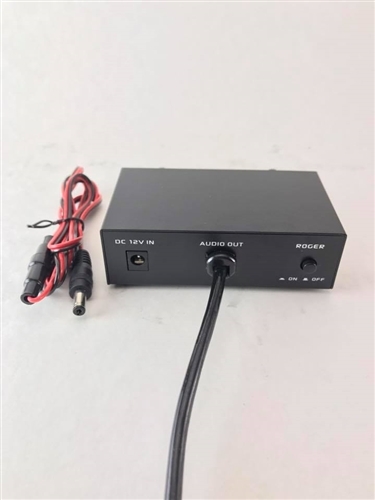 Small in size with a 12vdc cable included! Simply wire up with your mobile or base radio and experience audio you didn't think was possible outside of super expensive radios or mics! 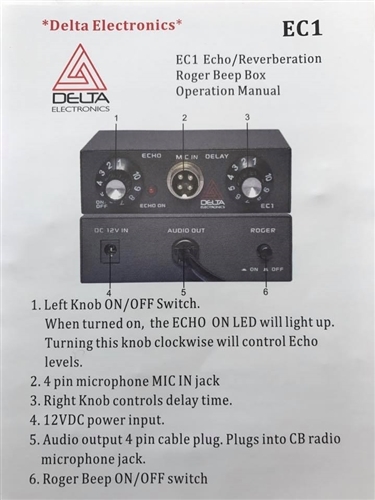 Don't think of this as simply a Echo Chamber, that would make it too simplistic, its mic audio amplification is unlike anything else on the market and add with it the ROGER BEEP and the EC1 is in a class all on its own! 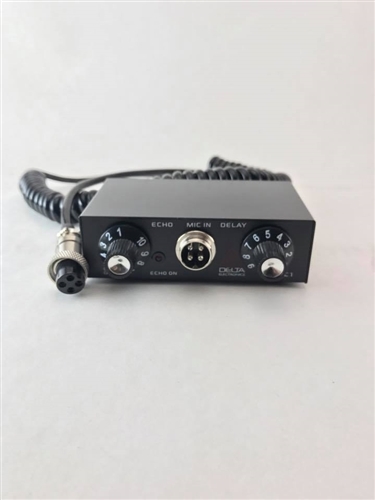 If you are unsure if your particular radio or mic is compatible with this unit please do not hesitate to message us! We will respond ASAP!! SHIPS USPS PRIORITY 2-3 day FREE SHIPPING!!! Radio comes factory wired 4 pin Cobra with a 3ft 4 conductor shielded coil cord.